On September 5, 2015, I had a prophetic dream about Kim Clement that deeply troubled my spirit. Several days later, I read news online about how he suffered blood on the brain and was in critical condition at the hospital. Because I do not know Kim Clement personally or any of his associates, I reached out to several leaders in the body of Christ and shared what I had seen and heard because I was so disturbed. I have spent more than two months praying in silence for Kim and now after receiving news this week that he has been attacked again, I feel I must share publicly what God showed me several months ago. I want to be clear, my hope and desire in publishing this dream is to release clear strategy to intercessors that pray for Kim and also warn prophets that will face possible similar situations in the future. I walked into a large cave and as I turned the corner, there were four large principalities that were huddled together talking. They all wore different types of armor and did not notice my presence there as I stood behind a rock and watched them from around 100 feet away. As I listened to them, one of the principalities, who had “Iran and the Middle East” printed on its breast plate, stepped forward and said, “I want Kim Clement dead. He cannot keep prophesying about Iran and the Middle East.” The principalities began to laugh and it sent a chill up my spine that I don’t have words for. Immediately, that principality and 2 others left the cave. As the Holy Spirit spoke that to me, I immediately woke up in my room and it felt as if I was sitting in the presence of Jesus. 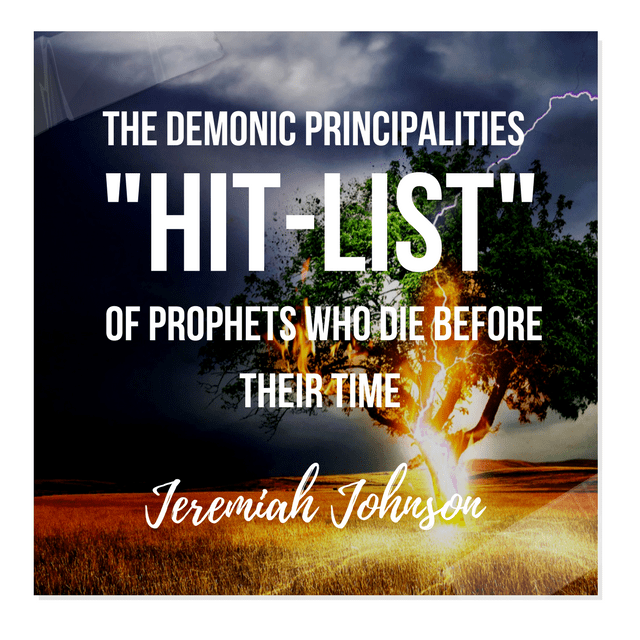 I sat up in my bed and said, “Lord, are there really demonic principalities assigned to take out prophets?” He said, “Yes“. I then received an open vision of John Paul Jackson’s book, “Needless Casualties of War“. Based off of this prophetic dream and vision as I woke up, I believe Kim Clement has been attacked by a demonic principality responsible for Iran and the Middle East and we as intercessors need to renounce any warfare that Kim might have engaged in that was not legislated from Above so that he may fully recover and live. May God continue to release understanding into the rules of engagement when it comes to addressing demonic principalities and may the prophets and intercessors of the Most High God fulfill His purposes in their generation. Saints, we must have more informed and strategic prayer in this hour.